Writing a series is a progression that usually carries the reader on the protagonist’s longer journey amid personal changes because of the challenges in the story. The main character of The Bow of Hart Saga, Athson, starts off in The Bow of Destiny as a troubled young man with some secrets hidden in his past. He’s aware of some of the mystery but the largest part is beyond his direct knowledge. Additionally, Athson has some challenges which the opening scenes of The Bow of Destiny reveal, some of which I’ve discussed in other posts on my site. However, suffice it to say that The Bow of Destiny is strongly affected by Athson’s struggles. He’s in grief, confused with his perceptions reality. The world of Denaria seems to slip past him at times with all of his troubles which is all by design. But with the end of The Bow of Destiny and the beginning of An Arrow Against the Wind, Athson’s perspective changes – distinctly. He begins to shift from being a victim of circumstances to understanding he can – and should – work to make things go his way. One instance that sets this change in Athson’s perspective occurs early in the book. He’s suffered a head injury and not quite clear about his surroundings, but he does come to a singular conclusion about what actions he needs to take. This conclusion motivates him throughout entirety of An Arrow Against the Wind. Here’s the excerpt (Spoiler alert: for those who haven’t read The Bow of Destiny, there’s a big piece of information included from the end of the first book). Excerpted from An Arrow Against the Wind. ©2017 P.H. Solomon. All rights reserved. May not be copied or shared in any format except with the written permission of the author. Athson stirred from sleep beside the low embers of the fire. Ralda and Makwi snored in exhausted sleep nearby. Wind whistled softly like a lullaby past their camp, but cold lay among them like a merciless blanket as the stars spread above. He rolled onto his side, thankful for merely a dull ache in his head. His father was alive. Athson struggled to his hands and knees, and his head spun. He should get up, go find him. He placed his hands on the boulder beside him and pushed himself to his feet but stood doubled over. He held his head until the spinning sensation stopped. Almost. If he could only stand, he’d go find his father. He would now. Go now. Athson reached for his sword on the ground and almost fell. He leaned heavily against the boulder, and his head grazed the rock. Pain shot through him afresh, and nausea rose from his stomach. On the second try, Athson grasped his sword and then fumbled with it until it slid into the sheath. Athson stretched a hand toward his pack, on which his quiver and bow lay. His finger snagged the pack, and he half dragged it and half stepped toward it. Athson opened the pack and searched for the inheritance – his inheritance. He found it, untied the bowstring and read the note afresh through his blurry vision. He shut his eyes and remembered his dream from the night at Eagle’s Aerie when it all started with this familial inheritance. Zelma feeds wood into the fire. Sparks snap from the coals and whirl amid the orange-blue tongues. An arc forms in the smoke and fades into the stars. An eagle’s scream pierces the night wind. Zelma’s wrinkled hands tie a wad of cloth with string – a bowstring. This inheritance. A shooting star streaks across the horizon and drags Athson’s attention from the crouching figure before the popping fire. The eagle screams again – louder and nearer. Athson shuddered out of the dream as he opened his eyes. He squinted. The wrapping was a banner. For what? He re-wrapped it all and tied the string anew. It didn’t matter now. He had to find his father. He shoved the inheritance into the pack and worked it onto his shoulders with the quiver, then leaned on the boulder again. After a slow rise to his feet with the bow, Athson staggered past Ralda and somehow missed tripping over the giant. He leaned against a natural wall of stone and stumbled along the path out of the old dwarven watch-station. Beneath the light of the stars, he came to a paved walk of stone with a wall running along the edge, past which the night yawned. The walk stretched into the night to his left and right. Athson stood like a reed, shifting with the wind as his breath plumed in his face with the cold. Which way? His body leaned right, and he followed with a stagger. Spark padded by Athson’s side. “That’s right, Spark. We’ll do what we should’ve done all along. I’m going to find my father.” He steadied himself against the mountainside rising from the path and wobbled away. As you can see, Athson’s determination about his course of action, no matter his condition, is a major turning-point for him. He’s moving past his troubles while being an unwilling member of a quest toward affecting the outcome toward his own ends. Athson is growing and stretching but only time will tell if this is enough. Thanks for reading today. If you have any thoughts about the series please share them in the comments and I’ll reply as soon as I can. AUTHOR INFO: H. Solomon lives in the greater Birmingham, AL area where he strongly dislikes yard work and sanding the deck rail. However, he performs these duties to maintain a nice home for his loved ones as well as the family’s German Shepherds. In his spare time, P. H. rides herd as a Computer Whisperer on large computers called servers (harmonica not required). Additionally, he enjoys reading, running, most sports and fantasy football. Having a degree in Anthropology, he also has a wide array of more “serious” interests in addition to working regularly to hone his writing. The Bow of Destiny is his first novel-length title with more soon to come. 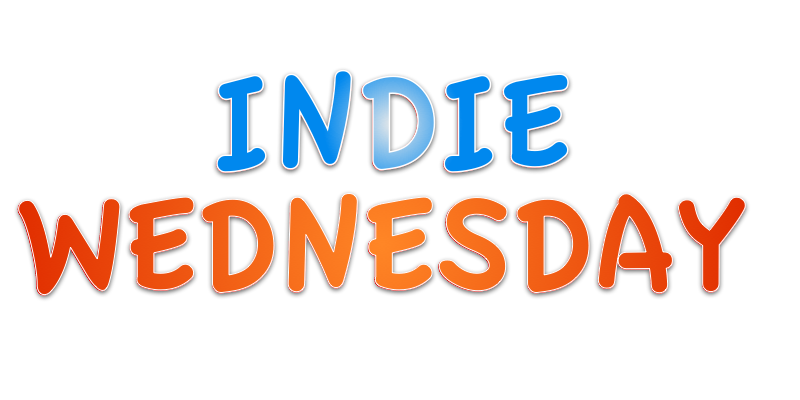 This entry was posted in Author Spotlights, Guest Post, Indie Wednesday and tagged An Arrow Against the Wind, Indie authors, indie fantasy, indie fantasy books, indie fantasy series, indie wednesday, P.H. Solomon, P.H. Solomon guest post, self-published fantasy, self-published fantasy books, self-published fantasy series, The Bow of Destiny, The Bow of Hart Saga. Bookmark the permalink. Great to see P.H. featured here today. I’ve enjoyed both novels in the Bow of Hart Saga thus far and am looking forward to the final chapter. An excellent epic fantasy series–and those book covers are awesome! Thanks for leaving a comment, Mae. I’m pleased you liked the series so far. Who are your favorite characters? Athson and Spark are my favorite. You’ve got a great assortment of characters, but those two really resonated with me!